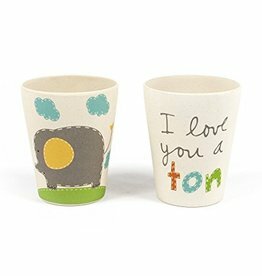 Tiny Footprint is a line of eco-friendly bamboo fiber tableware designed specifically for your little ones. 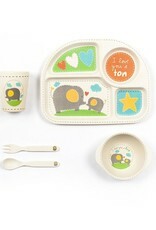 Sustainable, Biodegradable, and Dishwasher Safe Tiny Footprint is the perfect first eating set. 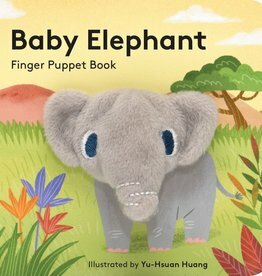 Help them keep their ecological footprint small by starting off tiny. 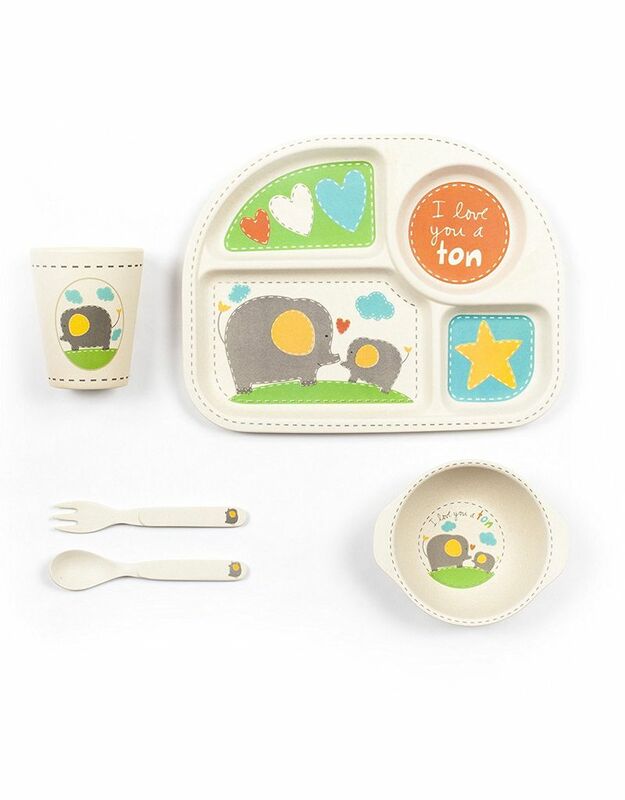 * An elegant gift idea for baby showers or first birthdays, Tiny Footprint dinnerware is lightweight and decorated with whimsical animal prints that your children will be sure to love. Tiny Footprint baby dinnerware is made from bamboo fiber and molded into lightweight, durable plates, bowls, cups and utensils that your children will love! Whimsical animal patterns add vibrant color to mealtime! Tiny footprint bamboo products are durable enough to withstand the occasional drop and are eco-friendly, biodegradable and sustainable harvested. Elephant Print set includes 1 sectional plate, 1 bowl, 1 cup, 1 fork and 1 spoon • Made of biodegradable and durable bamboo fiber. Lightweight bamboo spoon & fork set is a fun and eco-friendly alternative to plastic. 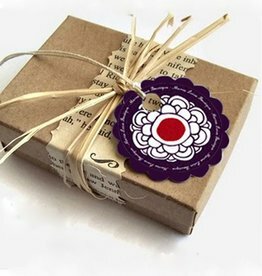 • Designed by Sandra Magsamen. 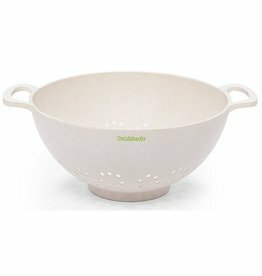 • Top rack dishwasher safe (not microwaveable). • Approved by FDA & BPA free.